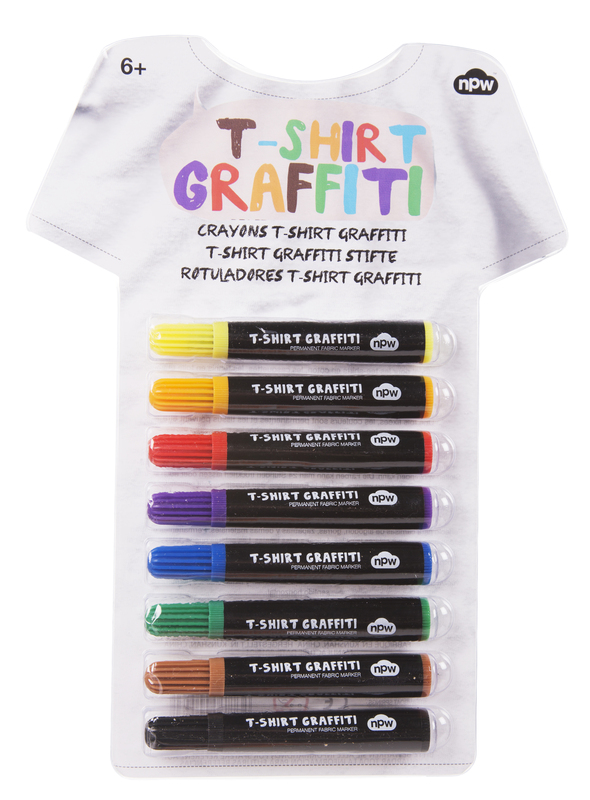 Personalise your tee with this awesome set of T-Shirt Graffiti pens. 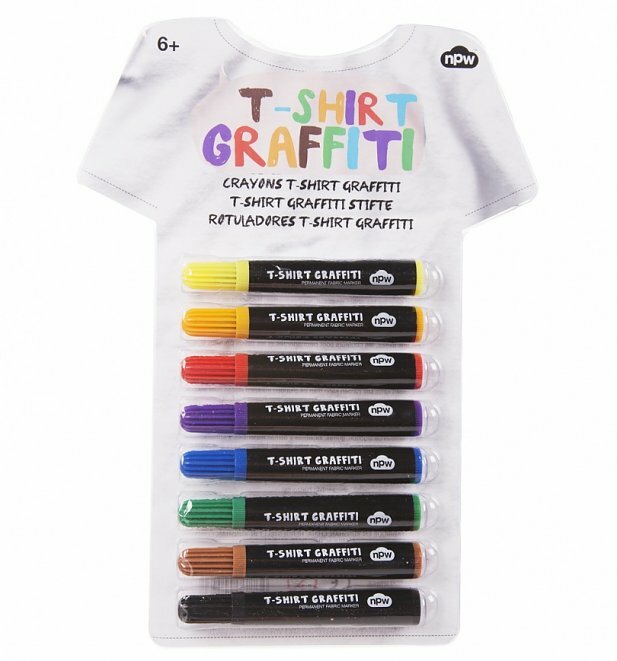 The set includes 8 pens in a variety of bright colours so you can get your doodle on... Once fixed, colours are permanent and can then be machine washed or dry cleaned. Genius! - Set includes 8 high quality, permanent fabric markers in bright, washable colours. - Apply to clean fabric. - Colours can be air-cured for 24 hours or fixed immediately by ironing. - For best results, we recommend putting a piece of cardboard between the front and back of your T-Shirt to ensure no colour goes through to the other side. - Once fixed, colours are permanent and can then be machine washed or dry cleaned. Review: These are really good. Quick delivery.